When it comes to choosing a DAW, it’s essential to have an understanding of what unique features different workstations offer. While many standard components are expected across most DAWs, there are always some distinct features that can make all the difference for your workflow. Here, we provide a comprehensive list of the many features that Presonus’ Studio One has to offer, categorized by general functionalities, native plugins, virtual instruments, and bundled content. 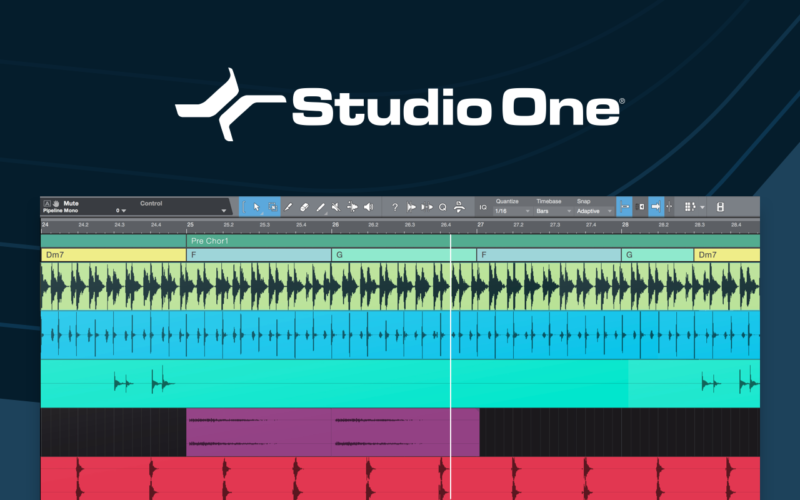 Interested in giving Studio One 4 Professional a try? Rent-to-Own the DAW on Splice for $16.99/mo. The length of this list speaks to just how much Studio One 4 Professional brings to your work on a general level. The best thing, however, is that it doesn’t feel like this many features – a sleek GUI and user-minded workflow help you command all of these features without even realizing it. If you’re switching over from a different DAW, Studio One assists your transition by enabling Pro Tools, Cubase, Logic, or Sonar keyboard shortcuts (or, you can even create your own). Studio One 4 Professional brings a grand total of 41 native plugins that help you hit the ground running. The plugins cover all stages of the creative process, from sound design (chorus, guitar amplifier, IR creator etc.) to mixing (EQ, compressor, autopanner, etc.) to mastering (multiband compressor, limiter, level meter, etc.). Some of the most exciting features in Studio One 4 Professional are its five top-notch virtual instruments. Encompassing both synthesizers and samplers, the DAW offers limitless avenues for creativity. If you’ve accumulated a virtual instrument catalog in a previous DAW that you’re hesitant to say goodbye to, fear not – Studio One 4 Professional also supports several third-party sampler formats (ex. EXS, Giga, Kontakt). Last but not least, Studio One 4 Professional also offers bundled content from both PreSonus and third-party creators. Some highlights are Melodyne Essential (which seamlessly integrates with the DAW), additional Studio One instruments and libraries, and tons of loops and kits from leading sample providers such as Sample Magic and MVP Loops. Try Studio One for free on Rent-to-Own, then pay $16.99/mo until you own it outright.